Truck accidents can have great repercussions for you or your loved one. Surviving comes with its own burden. You feel pain and the condition of your mind and body could take a long time in healing. Getting involved in a truck accident requires that you take action so you are not ignored by the guilty party. 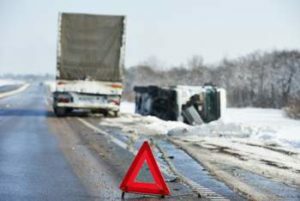 There is no better way to show resolve than engaging the services of a truck accident attorney. A truck accident in Hemet, CA is an unpleasant experience and no one should have to go through such. By having such a close call with death, it is your right to seek compensation for the pains and anguish you feel. Hiring an efficient truck accident attorney in Hemet, CA can help you get what is rightfully yours. The Rawa Law Group has a glowing reputation which has taken decades to build. Having us represent you in Hemet, CA gives you a significant edge. With the knowledge of what works in the courtroom, you will be provided with the ideal truck accident attorney for your case. We have been in this business for a long time and while we might not have the exact figure regarding the number of victories we have, we assure you it is a lot. And we intend to add your case to the ever-increasing number of battles we have won. We just need your go ahead. Don’t fret about the cost just yet; Rawa Law Group believes in getting the job done before any form of gratification. Rawa Law Group boasts of a flexibility which is second to none. You can get an expert’s insight regarding your situation at no extra cost. All you need to do is get in touch with us quickly through our contact address below.